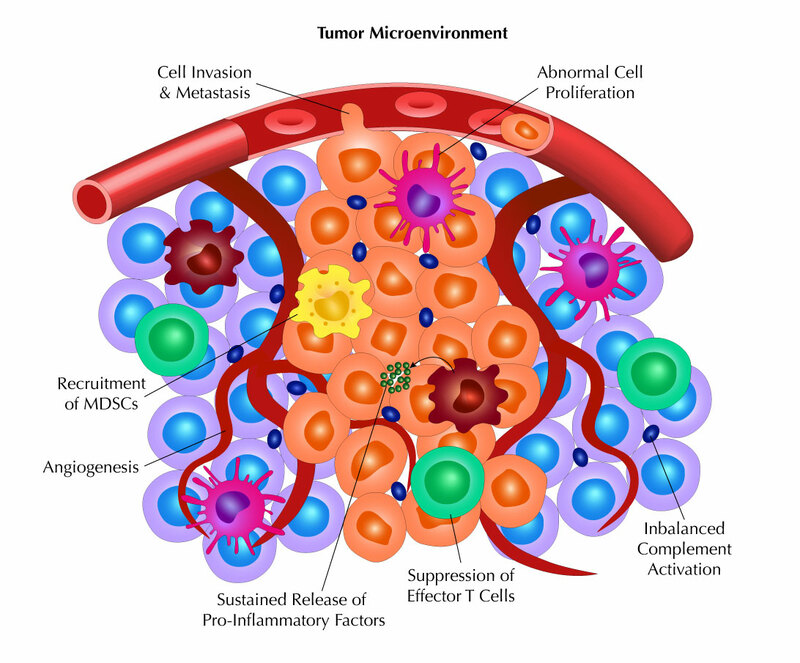 After summarizing how the complement system can have both anti-tumor and pro-tumor effects, we conclude our blog series on Reis et al. by discussing the clinical aspects of complement as a target and biomarker. 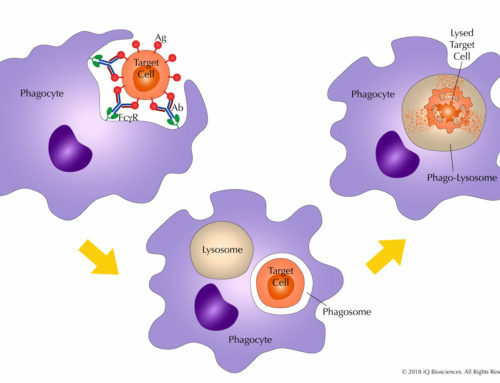 As discussed in the previous blogs, the imbalance in activation of complement leads to overproduction of complement proteins that causes a switch from immunosurveillance to tumorigenesis. Thus, therapeutics may be developed that target complement proteins and fragments to restore balance and an effective immune environment. Engineering antibodies to enhance Fc region-mediated effector functions have been well studied over the years. 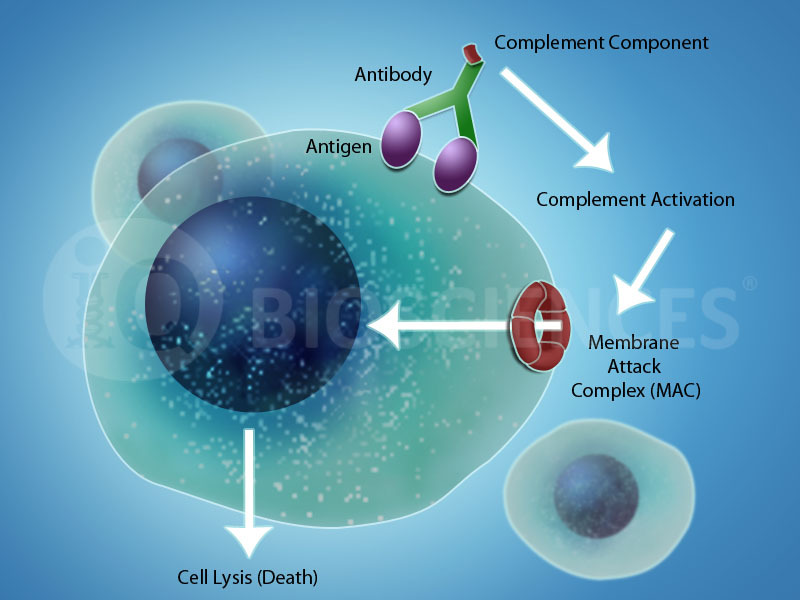 To take advantage of these studies, antibodies have been developed to more easily form antibody hexamers (Hexabodies) upon antigen binding to promote complement activation and enhance complement-dependent cytotoxicity (CDC). However, because of the increased potency, dosing is quite important as high concentrations of CD20 Hexabodies have been suggested to exhaust complement components too quickly, resulting in less efficacy. In contrast, low doses with more frequent dosing is associated with complement deposition on malignant cells and more CDC. An interesting set of studies have indicated that diet may regulate complement activation. In a preclinical intestinal cancer model, animals that were fed a high-fat diet derived from coconut and corn oil had higher amounts of C5a and increased incidence of cancer compared to mice fed a high-fat diet derived of olive oil. These studies suggest that diet may promote complement activation for tumorigenesis and regulating diet may decrease susceptibility to cancer by controlling complement activation. Other modulators of complement activity are regulatory proteins, such as CD55 and CD59, expressed on host cell surfaces that inhibit CDC. This is not a surprise as expression prevents unwanted CDC on healthy, normal cells. 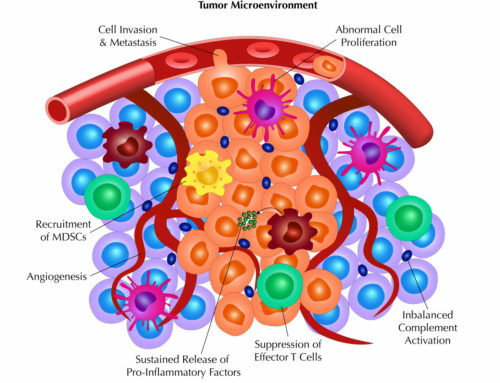 However, studies have demonstrated an increase in these regulators on tumor cells to escape immune response. 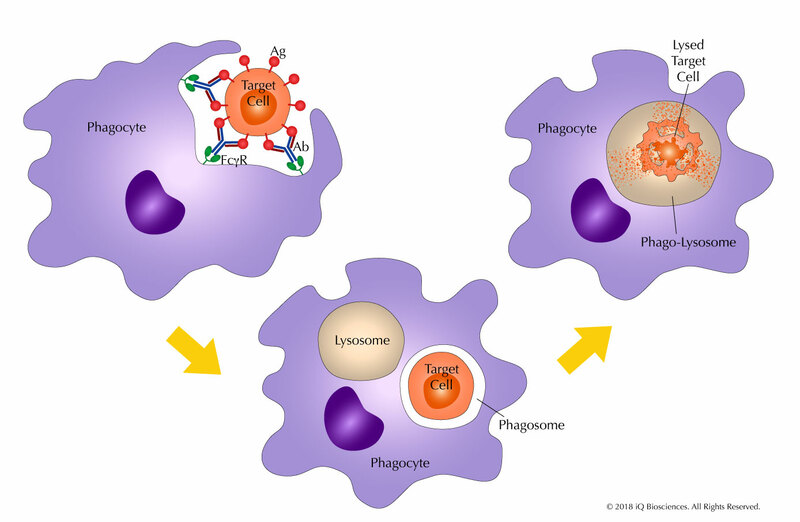 Therefore, targeting these regulators, along with the tumor antigen, may restore CDC and tumor cell lysis. 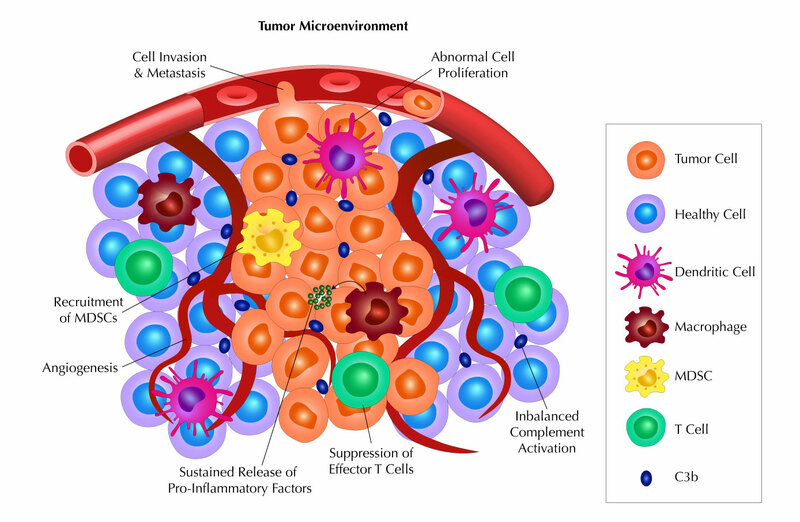 Besides targeting regulators of CDC, understanding how complement is activated in tumors will also help scientists develop inhibitors that target specific complement proteins that lead to dysregulation and imbalance of complement activation. Indeed, these inhibitors are currently being developed and are in different stages of development and evaluation. As alluded to earlier, complement activation and excessive amounts of cleaved complement fragments, such as C3, have been observed in the serum of patients with various types of cancer. In addition, an uncharacterized form of the C3 fragment has been detected in prostatic fluid from cancer patients. Thus, there is no question that increased complement fragments are detected in biofluids from cancer patients. However, the clinical value for increased complement or its value for disease prognosis is still in question. Over the course of the last three blogs, we have summarized Reis et al. by: 1) reviewing complement, 2) describing its beneficial role in immunosurveillance and anti-tumor effects, and 3) introducing its role in tumorigenesis when dysregulated. 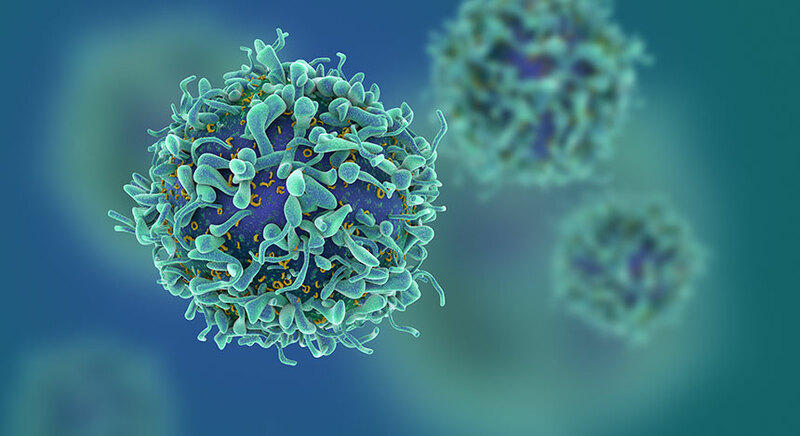 With these observations, scientists are taking advantage of this knowledge to develop therapeutics that target complement and CDC, as well as biomarker assays that measure complement proteins and fragments for cancer diagnosis. 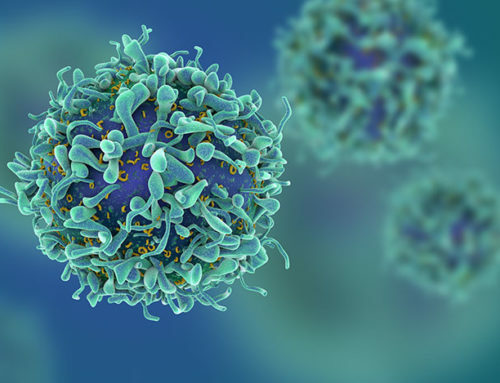 Moreover, these findings will give scientists further insight into how dysregulation of various aspects of the immune system leads to loss of global immunosurveillance and cancer growth. About the Author: Omar Duramad, Ph.D.
Omar Duramad, Ph.D. brings more than fifteen years of experience in drug discovery and preclinical drug development for small molecules and antibodies. 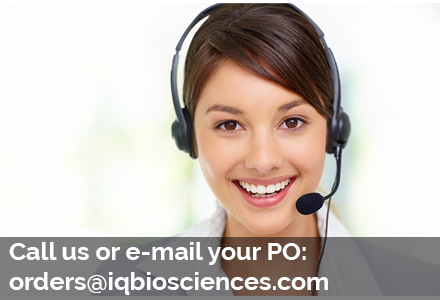 He oversees IQ’s In-vitro Assay Services (Testing, Safety, Toxicology, & Immunology). Prior to IQ, Dr. Duramad held positions of increasing responsibility at REGiMMUNE, IGM Biosciences, Neothera Biosciences, and Dynavax Technologies, where he led small molecule or antibody programs from early discovery through IND Filing. An immunologist by training, Dr. Duramad has received several awards such as the Schissler Foundation Fellowship in Cancer Research, American Legion Auxiliary Fellowship for Cancer Research, and the Vivian L. Smith Award for Outstanding Immunologist and has been an invited speaker at prestigious conferences such as Keystone Symposia, American Society of Hematology, and American Transplant Congress. Dr. Duramad obtained his B.S. in Biochemistry & Cell Biology from University of California, San Diego and Ph.D. in Immunology & Cancer Biology from the University of Texas, MD Anderson Cancer Center in Houston. Questions? We’d love to hear from you. Give us a call or leave a message below and we’ll be in contact. Thanks!